Suggesting that Charlie Manson is the new Snow White, NBC has answered Fox’s Bret Easton Ellis/Rob Zombie project about the Manson Family with a straight-to-series, 13-episode order for Aquarius, a competing ’60s drama from Prime Suspect producer John McNamara about the fairest of them all—if by “them all” you mean “dangerous psychopaths,” and your definition of “fairest” is similarly elastic. While the Fox series promises to offer several shifting perspectives in retelling Manson’s story, Aquarius will remain squarely focused on the L.A. police sergeant who tracks him in Manson’s early days, played by David Duchovny in his return to both broadcast television and to stalking criminals with crazily elaborate motives. 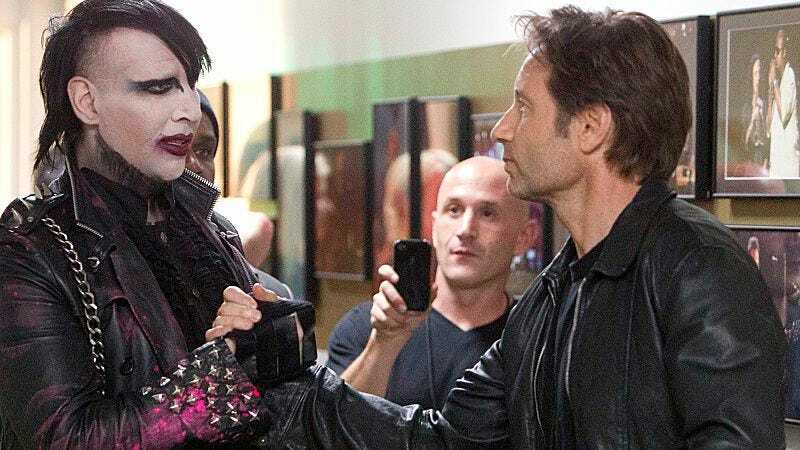 The show picks up with Duchovny’s character first becoming aware of Manson’s aspiring cult leader when he’s just a “low-level criminal,” and it will eventually cover the Tate-LaBianca murders in “subsequent seasons.” So each season it doesn’t, everyone will an awful reason to hope for its renewal.